Early raster 0wnage. 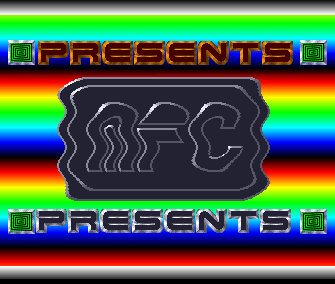 I remember trying to figure out how I could do this on a c64, and wasn't able to come up with anything til about a week after I sold my c64 (WHICH WAS A STUPID THING TO DO) and then... aargh! High Quality Crackings (HQC) started a mania! Crazy Typer at its best! Lovely coppercolors :) (too) famous Knight Hawks font and great Obliterator intro tune. magic rasters , crazy typer's style , the best ! copper ruled and rules still...plus cool music in this one !! page created in 0.014263 seconds with 15 queries.